UGC should set up a Gender Sensitization Unit and develop a Handbook on gender sensitization on sexual harassment. All members of higher educational institutions must undergo processes of gender sensitization. All Institutions must formulate guidelines for dealing with sexual harassment. Modules on gender sensitization to be offered to students in higher education institutions. Counselling services must be provided on a full time basis. Adequate infrastructure, such as lighting in and around campuses, reliable public transport, toilet facilities and girls' hostel accommodation must be provided in the higher education institutions. Women's study centres in universities and women's development cells in colleges must be strengthened. 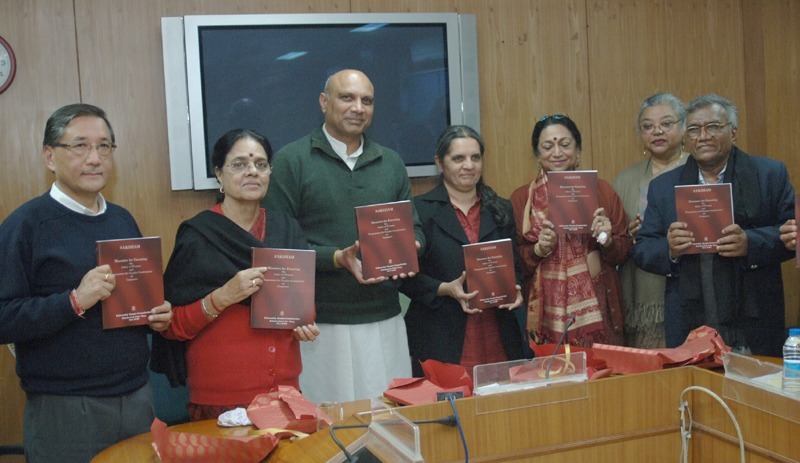 Human Resources Development Minister Dr. M. M. Pallam Raju, while releasing the UGC publication titled "Saksham" at New Delhi today, said that it is an imperative need to create safe and secure atmosphere in campuses. In order to achieve this, there is a need to change the mindset of the people and to apply it in word and follow it in deed. Gender sensitization discussions should be made an integral part of public discourse in campuses in order to build awareness on the same. Union Minister of Housing and Urban Poverty Alleviation and former Chairperson of National Commission for Women, Ms. Girija Vyas suggested a five point programme in order to bring about safety for women and gender sensitization on the campuses which includes enactment of strict laws and strict implementation of the same. Dr. Meenakshi Gopinath of UGC was the Chairperson of the task force constituted to review the remedial measures to address the concerns of all girls and women studying in diverse university campuses of the country. The task force was set up in the wake of the aftermath of the Nirbhaya incident of December 16, 2012 in the Capital.